has to borrow nor to buy history from China. The continued conflicts and clashes between the Communist government of China and the Tibetan people (both inside and outside) in the last six decades still proves that there is inherent and incessant trouble inside Tibet. The revolt of 1959, uprisings of 1988 and 2008 were continuations of displeasure of the Tibetan people against the oppressive and suffocating rule of Communist China. Tibetans on the contrary lived a cultural life somewhat similar to northern India. They followed Buddhism which was introduced from India. Tibetan writing, currently used by the people, was nothing but simplification of Sanskrit and Pali. Thanks to Thume Sambhota for this creation of Tibetan script from Indian calligraphy. Culturally Tibetans are much closer to Mongolians and northern Indians than Chinese. Then how is it possible for China to claim Tibet as part of China? Is it really necessary to have a agreement with a country which they claimed part of China? When Jammu and Kashmir was consolidated into India there was an agreement because J&K was an independent princely state on account of which agreement was made to be part of India. These are legal and political questions which need to be asked and studied with regard to China’s claim over Tibet. For the record, China didn’t reach any agreement with any of Chinese provinces held by former Manchu rulers or warlords. Nor have they yet reached any agreement with Taiwan or Republic of China. Why was an agreement (17-Point Agreement) necessary for China? If there wasn’t a need for any agreement in consolidating the political-military position in mainland China, the agreement imposed against Tibet was solid proof of Tibet being a formerly independent state separate from China. The invasion of Tibet hadn’t been condemned by then Indian Prime Minister Pandit Nehru on whose shoulders in fact the responsibility of saving Tibetan Independence fell. India remained the only country who understood the Tibetan political status around that time. Tibetans trusted India and India (Nehru) trusted China, leading to not just the military and political occupation of Tibet, but diplomatic recognition of Tibet being part of China. Tibet sees the world only through the prism of Indian diplomacy. If India had played diplomacy to its best and bravest pitch Tibet would have enjoyed an independent status posing no political and military threat to India’s thousand-kilometre borders. The background of Tibet’s invasion by China has been well discussed in the concerned areas and all that is left is “What now”. How will Tibet fight for its freedom. Till the late 1980s Tibetan leader Dalai Lama and the Tibetan people from both inside and outside fought for complete independence to restore the early position of the 13th Dalai Lama. Unfortunately, Tibet is fighting a freedom of independence against a powerful and intransigent nation ‘China’ to which making them understand freedom is hard. The establishment of the exile government in India by 14th Dalai Lama and his exiled diaspora has successfully internationalised the Tibetan issue on the global stage and China, though it has no worry of losing Tibet, is always under pressure from various democratic nations and independent groups supporting the Tibetan cause. If you are a stranger to the Dharamshala region, you are bound to be surprised at the presence of Tibetan NGOs in and around the town in addition to the exile government institutions functioning formerly under the 14th Dalai Lama and presently Sikyong. The government was supposed to be set up at Mussoorie, but was later shifted to Dharamshala. Gangchen Kyishong (known as Happy Valley) is the seat of Tibetan government in exile and is known officially as Central Tibetan Administration or CTA. Though technically and legally it remains unrecognised by any official government or State, it assumed enormous political strength by dint of HHDL’s untiring work. It is an institution recognised by every Tibetan born and brought up outside Tibet (it means people inside Tibet are facing difficulties in outright expression of recognition to it). It in fact has become Tibetan-Diaspora government. Nearly 1,30,000 Tibetans are scattered among more than 13 countries and all of them are managed from the Dharamshala-based exile government headed by Kalon Tripa (formerly Sikyong and later retitled) or Prime Minister of Tibet. The CTA or exile government was set up in 1960 for the restoration of Tibetan freedom in India against Chinese invasion. The government is highly recognised in the heart of Tibetans both inside Tibet and Diasporas. As years passed, His Holiness the Dalai Lama engineered many changes and reforms, rooting out old systems and reconciling new ways of democratic system. The most important was when HHDL decided not to nominate PM candidates, but initiated direct election of Kalon Tripa in 2001 culminating in the election of Prof Samdhong Rinpoche , a scholar highly revered both by Tibetan and Indian community, to the PM’s chair in the exile government. This marked for the first time an elected Lama as PM to Dalai Lama in exile political history. The Tibetan government in exile or CTA carried out large-scale initiatives looking after Tibetan exile communities’ socio-economic welfare and at the same time keeping Tibetan issue alive. The most important for the Dalai Lama and Tibetan people in exile have been preservation of their distinct culture and tradition, and keeping up with modern education. Imparting modern education has been the most pre-occupied concern for the Dalai Lama. One of the biggest challenges Tibet faced during the invasion of China and negotiation with foreign nations had been lack of exposure to the outside world in terms of modern education in all fields except Tibetan Buddhism which we still excel. Whether the exile government poses a serious political threat to China remains to be seen. However, it has been successful in engaging in international programs and activities highlighting Tibetan issues on the global stage. During the 2008 Beijing Olympics, despite an abortive move to stop the Olympics, it had been successful in spreading awareness about the Tibetan plight. They gained support from large number of groups in various countries particularly western. Clamours are being raised to the highest pitch for a dialogue between Dalai Lama and Chinese Communist authorities which remained mostly futile despite several exchanges of talks between representatives of both parties. In 2011, Dr Lobsang Sangay, a Harvard Scholar, emerged as the winner in the election and assumed the sole political responsibilities of Tibet from HHDL following the latter’s political renunciation. PM Dr Lobsang Sangay, who was the first Tibetan to have completed a PhD from Harvard University and to be selected among the Young Asian Leaders, defeated two veteran exile leaders, former PM Tenzin N Tethong and former minister Tashi Wangdi, to emerge as perhaps the most powerful political leader in the post-1959 period. His election was propelled by the rising self-immolations inside Tibet for the freedom struggle and the political vacuum created by the Dalai Lama, needs a dynamic leader who can fulfil the dreams of six million people thirsting for freedom. The Dalai Lama’s early position had been that of retaining independence, however, in the late 1980s there was change in the political approach of Dalai Lama which finally was accepted by the Tibetan Assembly (or Parliament) in exile and governmental sanction making it legitimate. It was nothing but the Middle Path Policy of fighting for Genuine Autonomy inclusive of all three traditional Tibetan provinces that have been separated by the Chinese authorities in the name of administrative convenience. The exile Parliament, the most powerful legislative body, passed a resolution supporting and accepting the Middle Path on 18th September 1997 . Thence, Tibetan official political policy of freedom for Tibet has been that of Middle Path policy for the Genuine Autonomy. There are differences in the Tibetan exile community as well as inside Tibet for the policy. But given that it has been the wishes of the Dalai Lama, the God-King of Tibet, the majority are bound to go by it rather than complete independence, despite China’s half-hearted response of brandishing it as pseudo-independence or independence in disguise. Don’t be surprised if you find some young Tibetans working in Tibetan NGOs in Dharamshala. From the most popular Tibetan Youth Congress1 (TYC) and Tibetan Women’s Association (TWA) to the newly-budded Students for Free Tibet (SFT) the capital of Tibetan exile doesn’t lack in NGOs. There are other research-related non-profit organisations such as the Tibetan Centre for Human Rights and Democracy (TCHRD). The lone political party in exile, National Democratic Party of Tibet (NDPT) is an offspring of TYC which functions primarily during Parliament and PM elections in exile. These organisations or associations conduct numerous programs activating the Tibetan exile communities regarding Tibetan issues. As far as TCHRD is concerned it has been successful in retracting secret information from Tibet regarding the status of Tibetan prisoners, level of abuse of human rights in Tibet, and other political developments. TYC has called for complete independence since its founding in 1970 and continues to vouch for independence rather than Genuine Autonomy. The conflict of the freedom struggle among the Tibetan community may not hamper the struggle, but the crack in the fight is bound to provide some relief to the Chinese authorities as divide-exile-cliques policy. There are two situations: Either Tibetans have to be deeply patient in the current process of Tibetan struggle, or wait and watch what happens to China’s current polity. It isn’t Tibetans alone who are fighting for freedom. There are Uyghurs, Manchurians, Mongolians, and even Han Chinese themselves who are constantly involved in the freedom struggle. Social unrest and mass protest are growing in China, presenting serious threats to the Party’s iron rule by the increasingly assertive public. According to Government sources, in 2004 alone China experienced 74,000 instances of protest, riots, and mass petitioning compared to 58,000 in 2003, and 10,000 in 1994. In 2004 alone, China experienced 87,000 disturbances of public order. These include all the above-mentioned minorities including Tibetans. In 2009-2013, more than 130 Tibetans self-immolated calling for independence and freedom. This is the largest number of self-immolations that has ever taken place in the history of any national struggle. India itself witnessed two Tibetan exile activists self-immolating in 1998 and 2012. The method of Tibetan struggle varies from the institutional approach of the Middle Path Policy to individual methods of sacrifice. It must be a wait and watch political environment before the party falls down like a Soviet collapse. However, Dalai Lama remains the major and only hope for the Tibetan cause and both Tibetans inside and outside have allegiance to this first-ever Tibetan Nobel Peace Prize laureate. While for China the Tibet issue is centred on the Dalai Lama, the latter vividly express the feelings of six million Tibetan people under Communist rule. China waits for Dalai Lama’s life, and we wait for Communist Party’s life. This article is an excerpt from the author's dissertation submitted to Madras Christian College affiliated to Madras University 2013-2014 for fulfilment of his MPhil Degree. Thume Sambhota was the inventor of Tibetan calligraphy. He was the education minister in the reign of the 33rd King Songtsen Gampo of Tibet in the 7th Century CE. On September 20, 2012, the 15th Tibetan Parliament-in-Exile unanimously voted to change the title of Kalön Tripa to Sikyong in Article 19 of the Charter of the Tibetans in exile and relevant articles. The Dalai Lama had previously referred to the Kalon Tripa as Sikyong, and this usage was cited as the primary justification for the name change. He was the first democratically-elected Prime Minister of Tibetan Government in Exile and served two terms (2001-2011). He was Speaker of Tibetan Parliament and is considered by Tibetan Buddhists to be the reincarnation of the 4th Samdhong Rinpoche. Introduction to the Nature, Evolution and Achievement of the Middle-Way Policy, (DIIR Publication 3rd Edition, 2012) p.7. TYC was founded in October 7, 1970, as the first non-government organisation under the supervision of HHDL. It strives for the retaining of complete independence. It has 87 branches in 10 countries with members ranging to 30,000. TWA was first founded in Tibet in 1959, but got disbanded and later reinstated in exile on September 10, 1984, by Rinchen Chogyal, former TYC activist. It has 37 branches worldwide with 11,000 members. SFT was founded in 1994 by pro-independence Tibetans, supporters, and students in New York. It has 650 chapters in over 100 countries. TCHRD was founded in 1994 and is an institution which investigates human rights issues in Tibet and amongst Tibetan minorities throughout China. NDPT was founded on 2nd September 1994 as a political party in exile democratic polity under the guidance of TYC and supervision of HHDL. 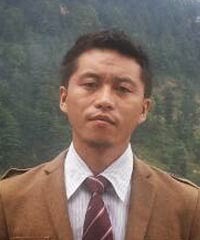 Pam Tenzin Phuntsok has a MPhil and is a Scholar Graduate at Madras Christian College, India.